The Goldilocks color between red and auburn hair. If it feels like burgundy hair is suddenly all over your Instagram feed, that’s because the burgundy color club gets a new member every day. 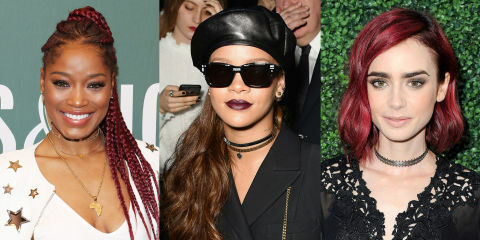 Here, we’ve rounded up the best burgundy examples from Rihanna, Katy Perry, to inspire your next color transformation. 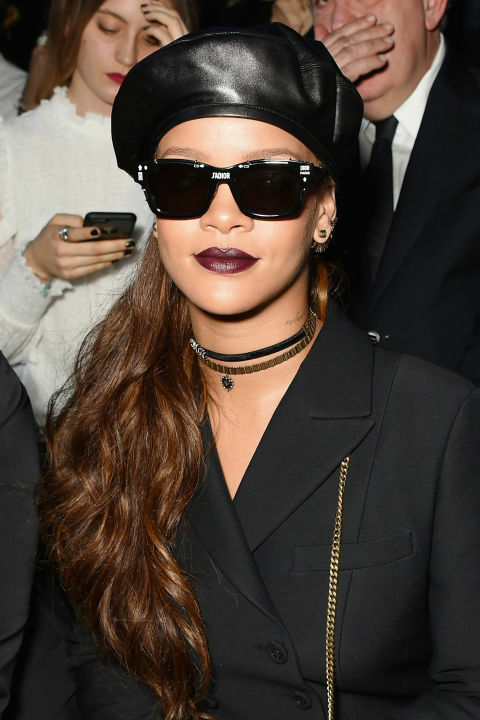 The Anti singer opted for a chestnut color with subdued burgundy undertones (and a matching lip). 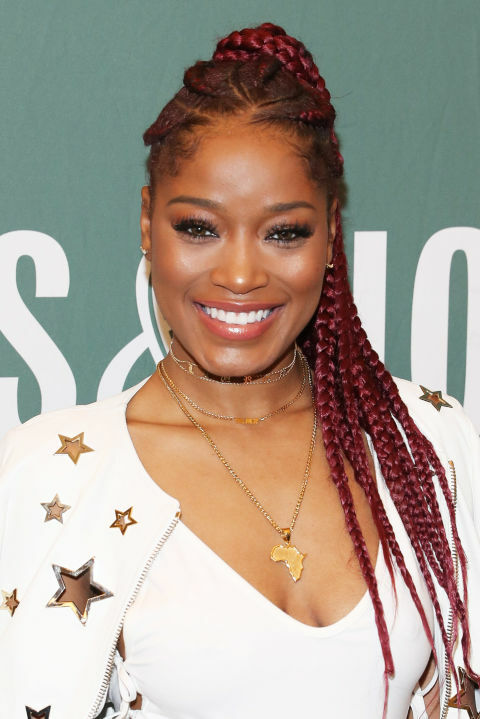 Keke Palmer pulls her burgundy braids in a high ponytail. Collins offsets her bright burgundy with dark brows. Go full Jessica Rabbit with Katy Perry’s bright reddish-burgundy. Lana Del Rey’s chestnut has highlights in cool-toned auburn-red. Alternatively, Washington wears statement highlights in bright burgundy. Vanessa Hudgens lets her roots show in a black-to-burgundy ombré.